What is an electronic tanning bed? Picture a full-body-sized photocopy machine and then you’ve pretty much seen an electronic tanning bed. It is a horizontal bed made from acrylic plastic which houses a fitting of Ultraviolet (UV) lamps. These UV lamps produce UV radiation which is absorbed by the skin during a tanning session. The UV rays given off comprise of UVA and UVB, both which are present in the UV rays given off by the sun. Depending on the intensity of the tanning bed, more UVA or UVB will be present during tanning. 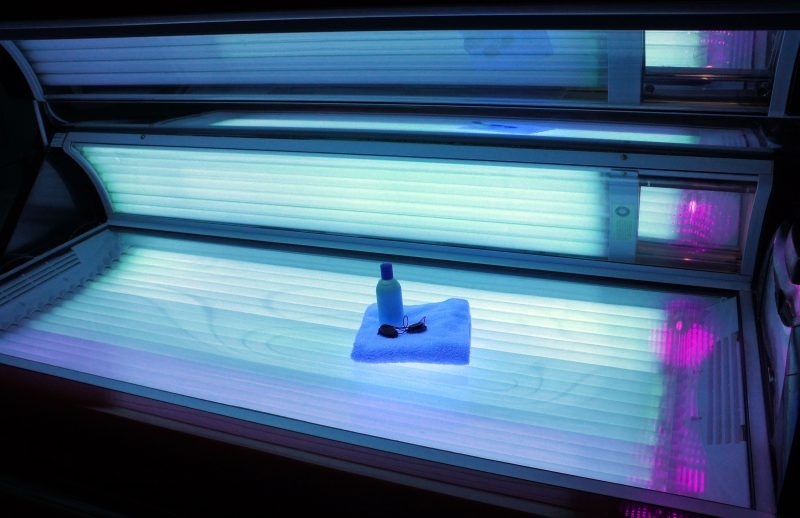 The customer will lie on the bed with these UV lamps on for about 10-20 minutes until the desired exposure to UV rays is accomplished. The exposure to UV rays emitted by these lamps is what causes the process of the darkening of the skin known as tanning. You find out more from Best Sunbeds UK. What happens to your body during a session in the electronic tanning bed? Contrary to the myths, this type of artificial tanning is not safer than standing in the sun. The sun emits UV rays that contain UVA, UVB, and UVC (which gets absorbed by the atmosphere of the earth making them harmless). UVA and UVB are absorbed by the skin and cause a reaction with melanin in the skin. Melanin protects the body from the harmful effects of UV rays. This reaction with melanin is seen by a darkening of the pigmentation of the skin, in other words, tanning. What are the benefits of using electronic tanning beds? Tanning is a viable option all year round and not just when the sun is out. The results of electronic bed tanning are often much more visible and natural-looking than its artificial counterparts (such as creams or spray tans). Tanning sessions are relatively short, between 10-20 minutes, and can be made more comfortable with aromatherapy and music during sessions. Electronic tanning beds are used to treat some medical skin conditions such as acne, muscle pain, and Seasonal Affective Disorder. What are the negative effects of electronic tanning beds? Electronic tanning beds are a good solution to getting you’re tan inside, but it is definitely not without its negative aspects. In many states in the US (as well as countries like France, the UK, and Germany) the use of electronic tanning beds is strictly reserved for those over the age of 18. In some countries like Australian and Brazil, they have been banned in their entirety. This is because of the link between electronic tanning beds and health problems such as melanoma (skin cancer). Due to the fast nature of tanning sessions, these electronic beds are designed to give the most exposure to UV rays in that space of time. Any exposure to UV rays, whether it be from the sun or artificially using tanning beds, is classified as a human carcinogen (causes cancer in humans) by the International Agency for Research on Cancer. This type of artificial tanning is also known to do the most harmful damage to young people’s skin (which explains the age restrictions). Why should you use an electronic tanning bed? Tanning is a matter of preference and choice. The desired outcome, as well as many health precautions, should be considered before diving headfirst into the world of electronic tanning beds. Remember that any exposure to UV rays, whether natural or artificial, is a danger to your health. That being said, if used with caution and conservatively, the electronic tanning bed can be that quick fix to your desired summer body.